Select your car manufacturer to find the right towbar for your vehicle. 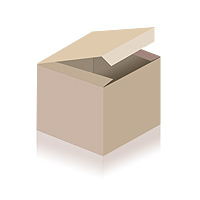 Select your car manufacturer to find the matching electrical kit. You can decide whether you want to buy a cycle carrier for two or three bicycles. Both versions can be extended by one additional bicycle. 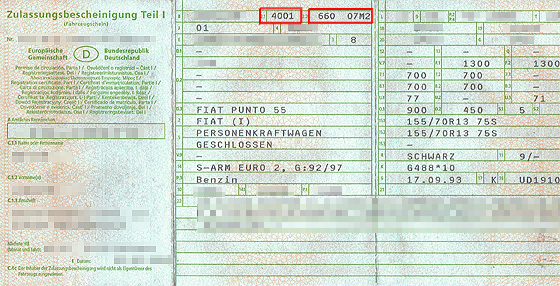 Vehicle registration documents issued before 1 October 2005 (alter Fahrzeugschein), have the HSN (Manufacturer’s key number) in field 2. In the example below, this is the first, red-marked field and has the number 0600. In the old vehicle registration documents the TSN (Type key number) is in field 3. Only the first three figures or letters of this number will be required. In our example it is the second red-marked field. The figure sequence here is 000000 - only enter 000 in the HSN/TSN dialogue. 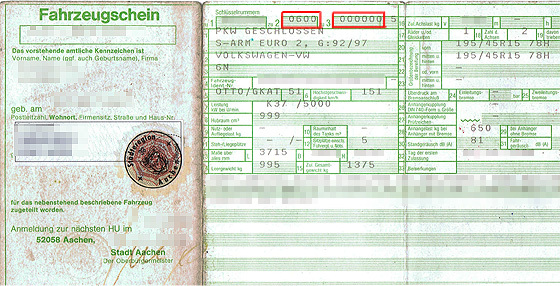 A new form of vehicle registration has been valid since 1 October 2005. The official designation is Zulassungsbescheinigung Teil I. Here the HSN is in field 2.1. In our example, this is the first, red-marked field and has the number 4001. Field 2.2 has the TSN. Again with the new vehicle registration document we only require the first three figures or letters of this number. In our example, it is the second red-marked field. Of the entire content 660 07M2 please only enter the 660.